Uniblue PowerSuite is a PC system utilities tool that can help clean up your PC and make your system faster overall. If you need extra help or don’t understand computer functions very well, PowerSuite does a great job of walking you through the process. Simple problems, such as cleaning up unused processes and managing the CPU, are all easy for Uniblue PowerSuite to combat. When you first open Uniblue PowerSuite, you’ll see a helpful tutorial with arrows and instructions walking you through the process of cleaning your PC. 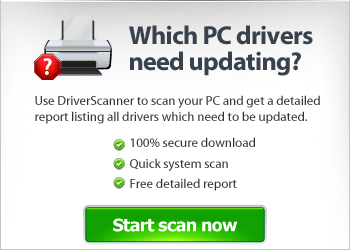 Easy-to-use features include hard drive repair, undo delete, uninstaller and registry repair. This computer clean up software, however, doesn’t have shortcut repair or file recovery, which are important if those problems are plaguing your system. Despite missing those features, we did find during our research that this program was thorough and caught many errors with our test computer. Only a few diagnostic tools come with Uniblue PowerSuite. System information, system analyzer and driver statistics make any PC faster, but there are many other tools that you should have access to but won’t with this program. Hard drive partition management, failure monitors and folder settings are just some of the components this software doesn’t have. Uniblue PowerSuite Utility software has many different optimization options, including hard drive and registry defrag, Windows optimizer and internet optimizer. Although these features are very important for keeping your system running smoothly, some other helpful features are missing from PowerSuite. Software updates and a memory optimizer are some of the missing features that would add extra security to your PC’s health. Uniblue has great in-program support and helpful tools on the website. FAQs and email are both listed online; although there is no live chat function. The license does cover three PCs which is a bonus. While the best PC maintenance software tools have more features, Uniblue PowerSuite still does a good job of finding errors and fixing them. You won’t have control or access to all the elements of your PC, but common problems like hard disk, Windows and registry errors can all be fixed easily with little expertise on your part.